The two then traded a number of jabs heads-up with Mirza taking the lead twice before eventually getting it in ahead with two pair versus Morford's top pair. Morford turned a bigger two pair, but Mirza rivered a full house to take the title and the home-state glory. 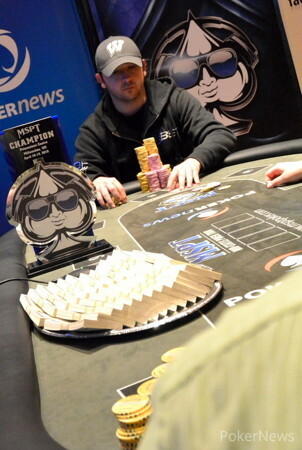 Leon Morford bet 500,000 into a flop and Jason Mirza responded with a raise to 1.8 million. Morford shoved and Mirza snap-called having him barely covered with for two pair. Morford had for one pair, but made two bigger pair on the turn to take the lead. 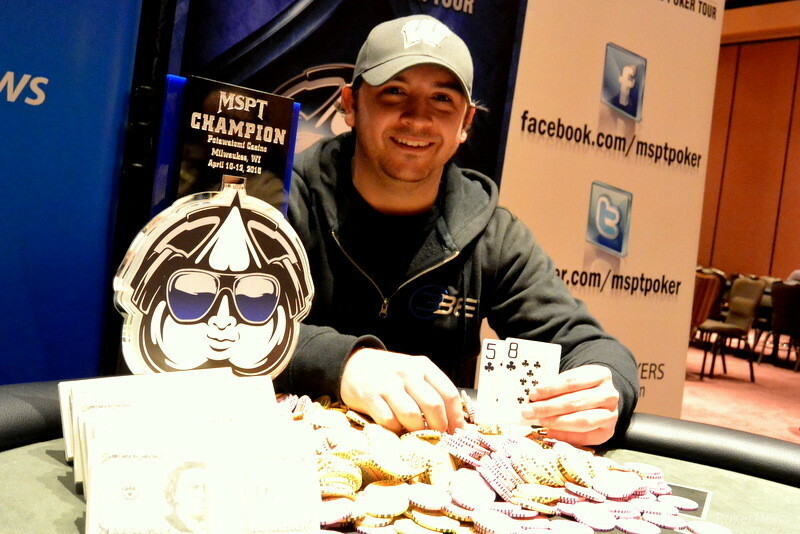 However, the river was the right one for Mirza, making him a boat and the 2015 MSPT Potawatomi Champion. Morfrod was forced to settle for $82,956 and a second-place finish. 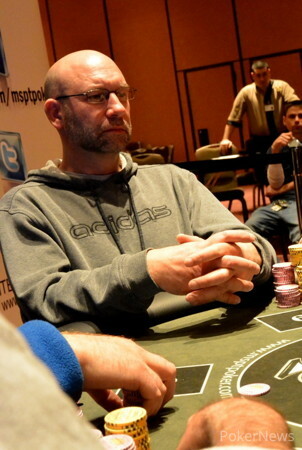 Through a series of aggressive plays Jason Mirza has once again pulled into the lead. Jason Mirza made it 290,000 from the button and Leon Morfrod called. The flop came down and after Morfrod checked, Mirza led for 320,000. Morford made it 820,000 and Mirza fired back, making it 1.9 million total. Morford shoved and Mirza insta-mucked, handing the lead back to Morford. As they jab back and forth heads-up there has yet to be any massive confrontations. However, Jason Mirza has just pulled slightly ahead of Leon Morford. Mirza opened to 290,000 and Morford called. The flop came down and after a check, Mirza continued for 310,000. Morford called and the turn came the . Both players checked and the river was the . Morford led out for 500,000 and Mirza snap-called showing for two pair. Morford mucked and it's now advantage Mirza in the chip counts. 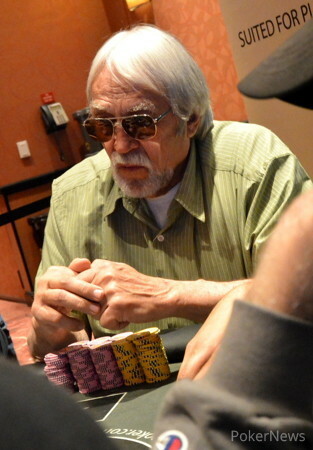 Andreas Wagner pushed in with , but once again, Leon Morford woke up with a hand, calling with . The board ran out and Wagner exited third. 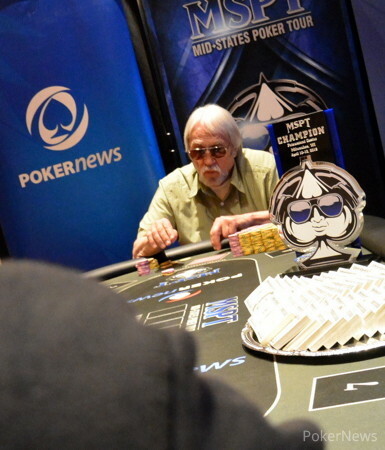 Morford now begins heads up with a lead over Jason Mirza. 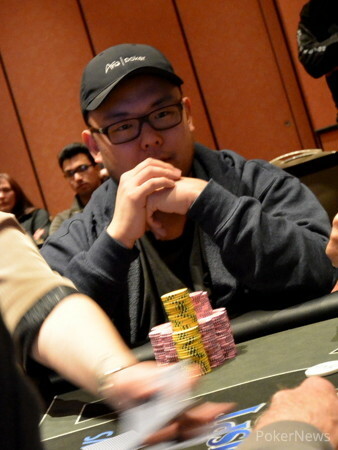 Richard Bai open-shoved his last 1.6 million and Leon Morford made the call with . Bai had pocket nines, but could not hold on a board, saying his goodbyes in fourth.